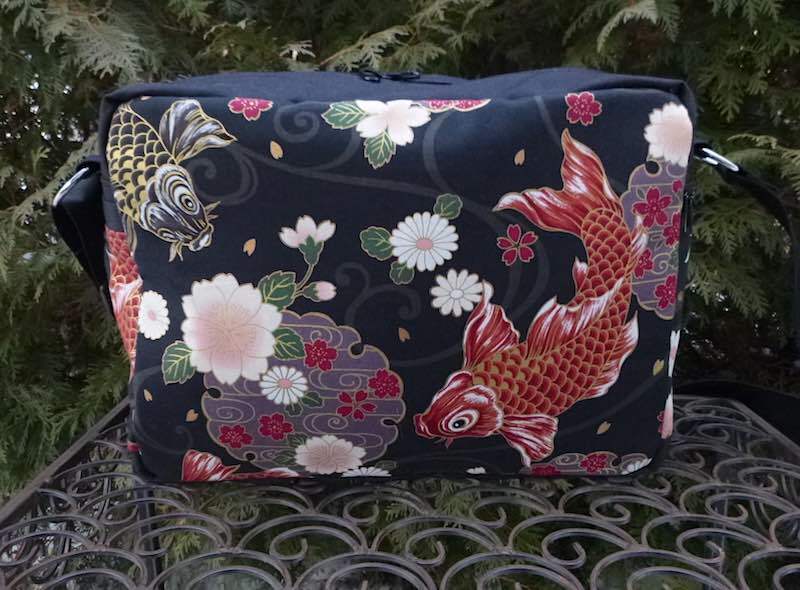 The Tilly is a zippered cross body shoulder bag. 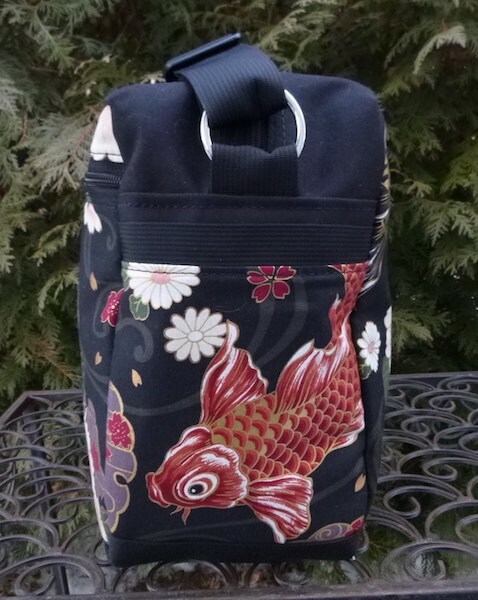 This bag features beautiful Japanese koi on a black background. Tilly’s secret? 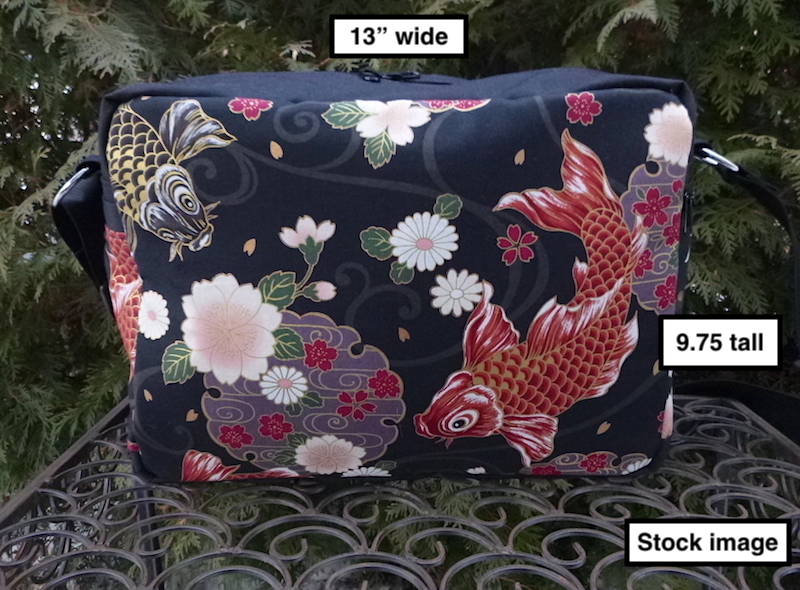 It’s the Zelda Deluxe Messenger Bag body, flap removed, and a zipper closure added. 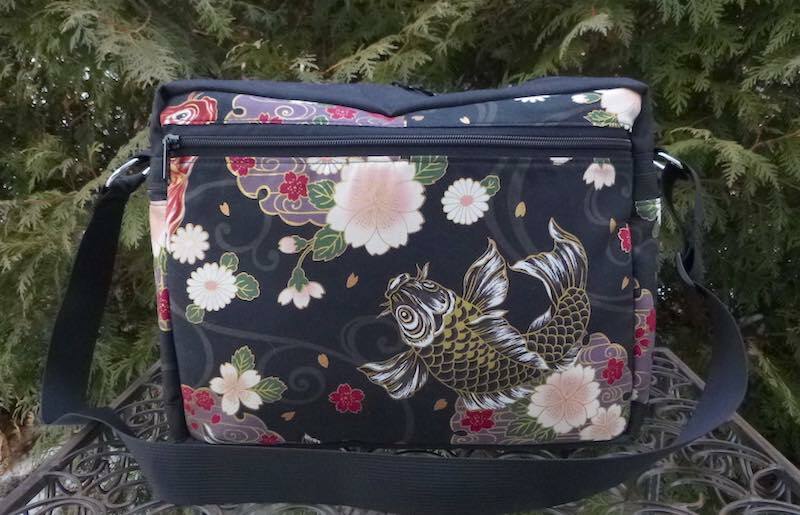 Tilly is very versatile, great for any daily use, such as a large work bag, diaper or kid's bag or a travel bag. Pockets inside help with that much needed organization. 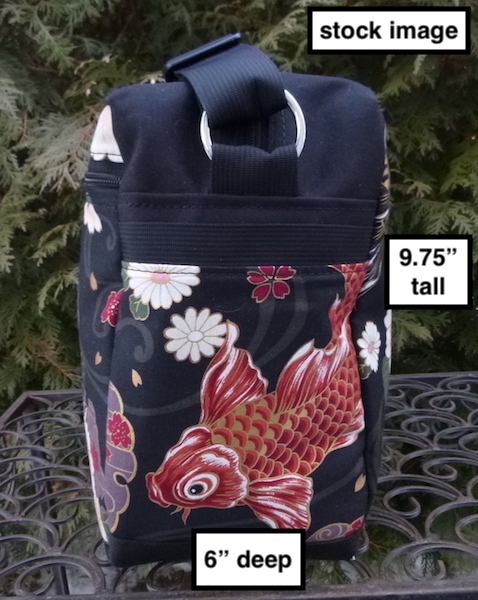 An open pocket and a zippered pocket on the outside provide additional storage. 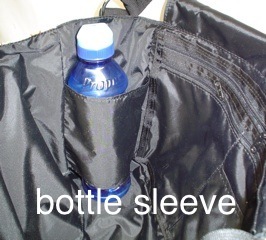 A bottle sleeve and a key clip inside. 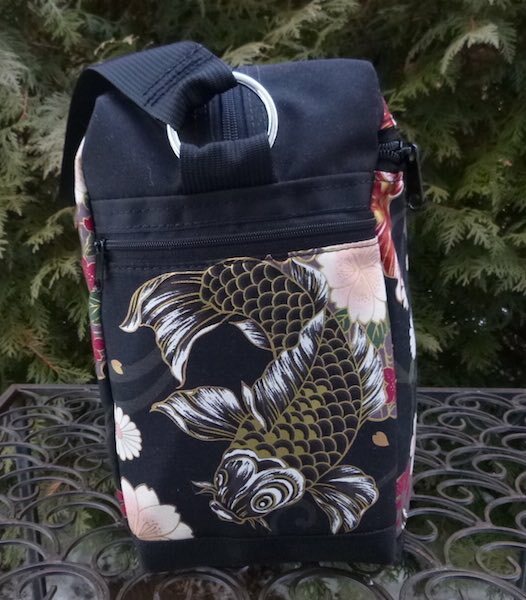 Wear cross body, or on your shoulder, by adjusting the length of the shoulder strap. 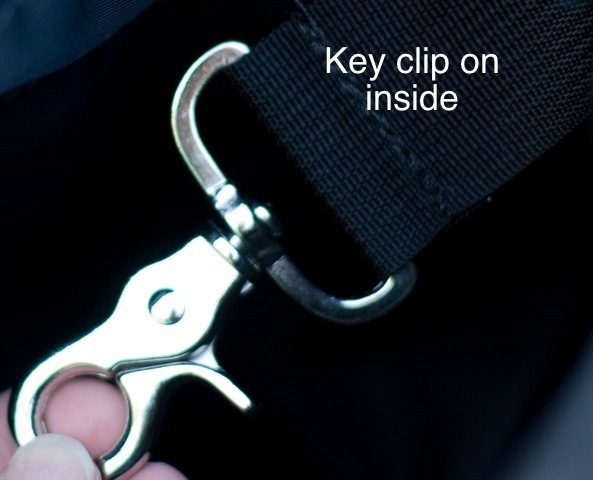 Shoulder strap is 1.5" wide (3.81 cm) adjusts from 22" to 42" (55.88 cm to 106.68 cm).